If you know of an event within 100 mi. or so, please submit it on the "Feedback" page. Every Saturday morning, 8 to 11:30 in the Parking lot next to PG&E stacks. 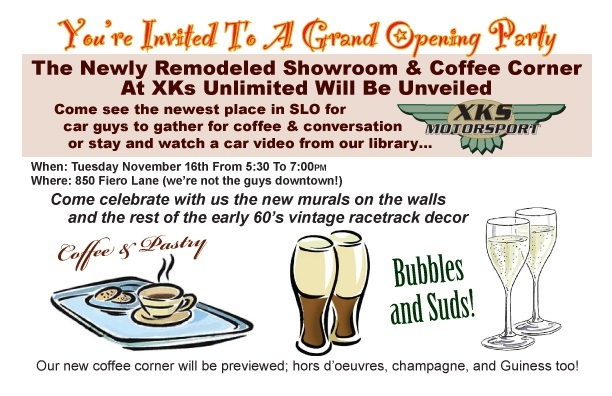 XK's Showroom and Coffee Corner for car nuts. Hangout time is every day!